Why can’t you just fly a helicopter to where it needs to go? Well, in many cases, our customers could fly their helicopters to the destination, but it can actually be more expensive than shipping them. Also, once oceans have to be crossed, only a few of the bigger helicopters can safely attempt ‘ferry flights’ and usually those routes are not very direct. They involve a lot of island hopping. Tell us about the first time you shipped a helicopter. The first one, which was before I joined Panalpina, came quite unexpectedly. We had worked on and secured a contract from a major helicopter operator to deliver spare parts from Vancouver to many bases overseas and had only been shipping those parts for a few months when one afternoon I got a phone call: “Juerg, we need to ship a Sikorsky S61 from Thailand to Long Beach”. This depends on the type of helicopter and cargo aircraft. For small and medium sized helicopters, the customer’s or manufacturer’s engineers will usually dismantle the helicopters partially and prepare it for shipment by 747 Freighter – the Boeing 747 Freighter is the most suitable freighter used by scheduled carriers. The loading of the helicopters is usually through the side door. 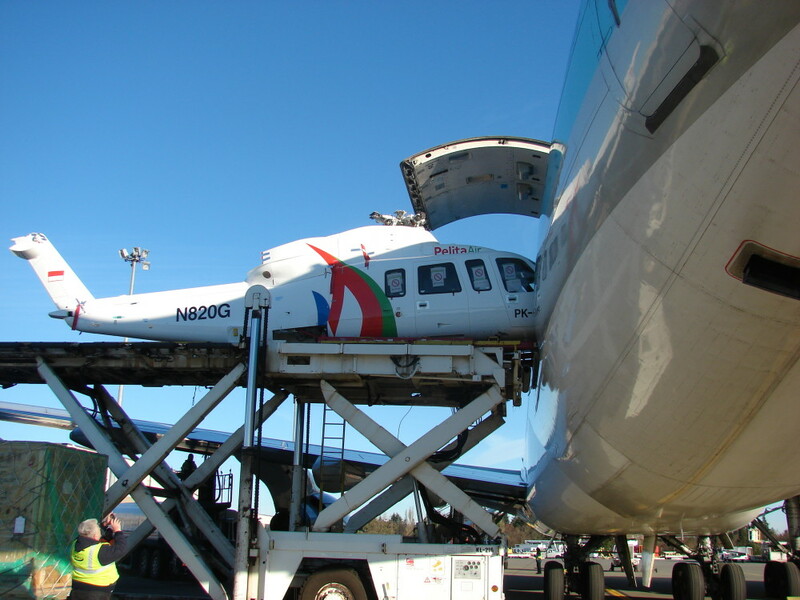 The helicopter is loaded onto airline pallets which are then put on the main deck loader, from where the roller bed system in the 747F is used to move the helicopter into the proper position inside the freighter. 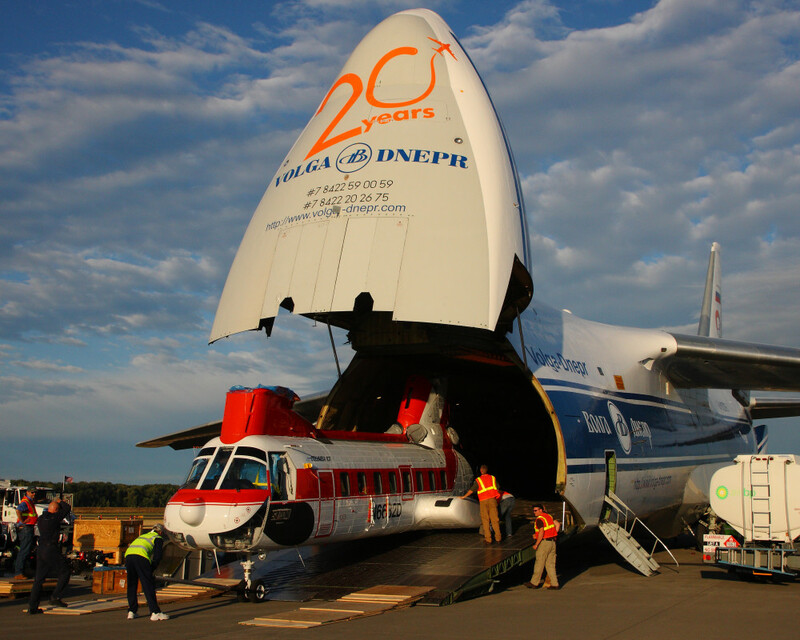 Loading larger, or ‘heavy’, helicopters into an Antonov An-124 is a completely different thing. Much less dismantling is required and the helicopter is being towed by the Antonov loading team into the An-124, using a winch and a cable. The loading crews are very experienced, and it’s amazing how much can be made to fit into this freighter – they can take up to four ‘heavy’ helicopters or six or seven medium helicopters. 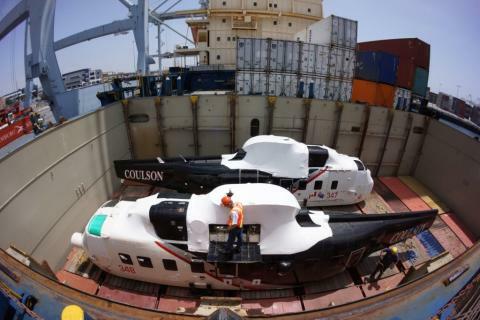 How many helicopters have you shipped in your 25 years of doing it? I’ve been too busy to count, but it’s definitely in the thousands. But you ship other stuff as well, or do you sit around waiting for a helicopter that needs delivering? Well, we don’t just sit around! But in fact my team only ships helicopters, nothing else. We always have helicopters on the move, and are always working on a number of quotes and projects that we hope will materialize soon. 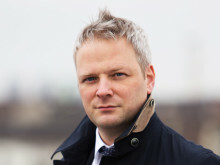 In addition to that we try to look ahead and find ways to meet expected needs of the helicopter industry. What’s the most challenging delivery you’ve had to make? Many of our moves are quite challenging and it’s not always the largest helicopters that are the most difficult to move. Often it’s the particular circumstances that make for tough moments, like unexpected flight cancellations or engine trouble causing vessel delays. If this happens during a shipment with a delivery deadline, this can be costly. It can also get quite interesting, and potentially costly, when we arrange air charters and a few days before the scheduled load date we are advised that the helicopters are not ready to go yet. We had such a project recently where we had to be quite flexible and a number of critical items only came together literally at the very last minute. So how do you move a helicopter? The main thing is detailed planning, considering carefully every step involved and making the required arrangements. 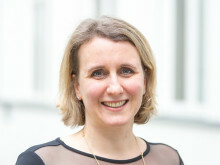 It involves not only giving clear and detailed instructions to all subcontractors and offices involved, but then following up to ensure it’s all been understood and arranged. We always work with carefully selected carriers and partner offices overseas. Of course, in many instances we also have one of our specialists attend loading and offloading at ports or airports and hangars. We strive to provide peace of mind to our customers and monitor the movement of their helicopters from hangar to hangar, every step of the way. Our main customers are helicopter companies that operate overseas. The majority used to be companies servicing the oil and gas industry, but that business has taken a downturn. What has picked up is international firefighting, where helicopters from North America are being shipped in October or November to the Southern hemisphere – like South America or Australia – to fight forest and bush fires during their summer, and then they return to North America in March and April to protect the forests during the summer there. Other civilian helicopter companies focus on providing support for the allied mission in Afghanistan. Search and Rescue contracts are also an important area where helicopters are required. 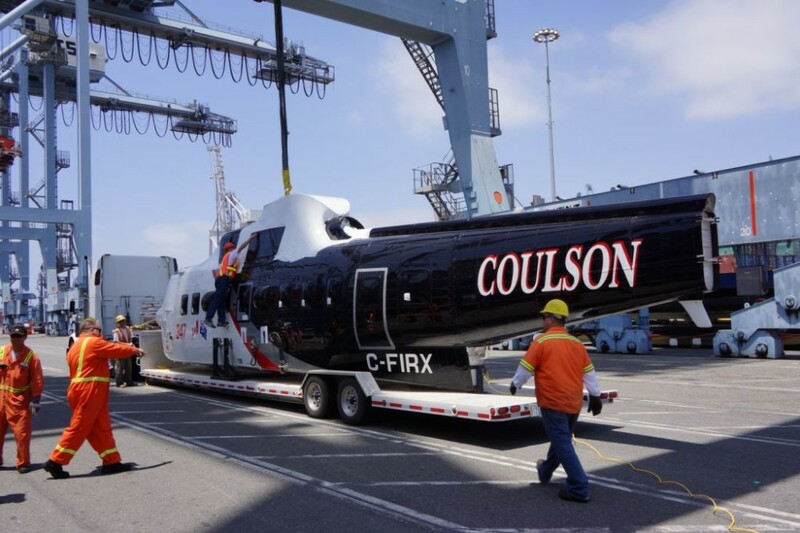 Of course there are also many other situations where helicopters are being purchased and sold for various purposes, and they then need to be shipped to the new owner. What’s the biggest number of helicopters you have moved in one go? 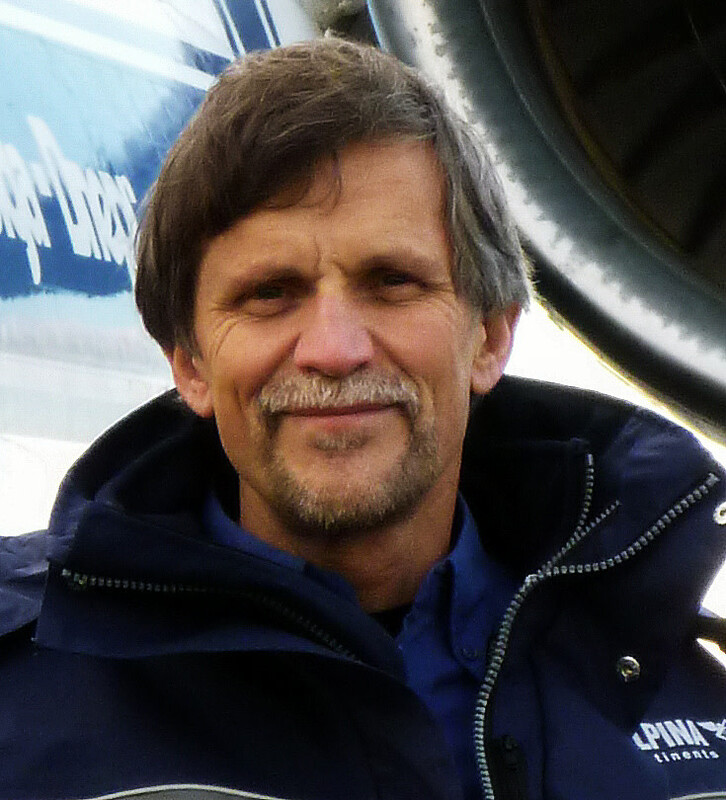 I think that was seven helicopters that we moved in one Antonov An-124 from Canada to Africa a number of years back. How do you know a helicopter is fit to fly after delivery? The licensed engineer who manages the re-assembly needs to certify this in the log book. If you ship something by sea, isn’t the ocean spray corrosive to something like a helicopter? That’s true, but we always request that the helicopters are loaded below deck. And we follow up just before loading to ensure this happens. It’s probably more the other way round, actually. I like whitewater kayaking and often you find yourself in the middle of a wild maelstrom with waves crashing in from all sides. You need to stay calm and focus on the essential next step to get down the river. Shipping helicopters can be similar. Sometimes all kinds of unexpected things are happening. You just need a calm mind and a clear focus. That really helps to save the day.